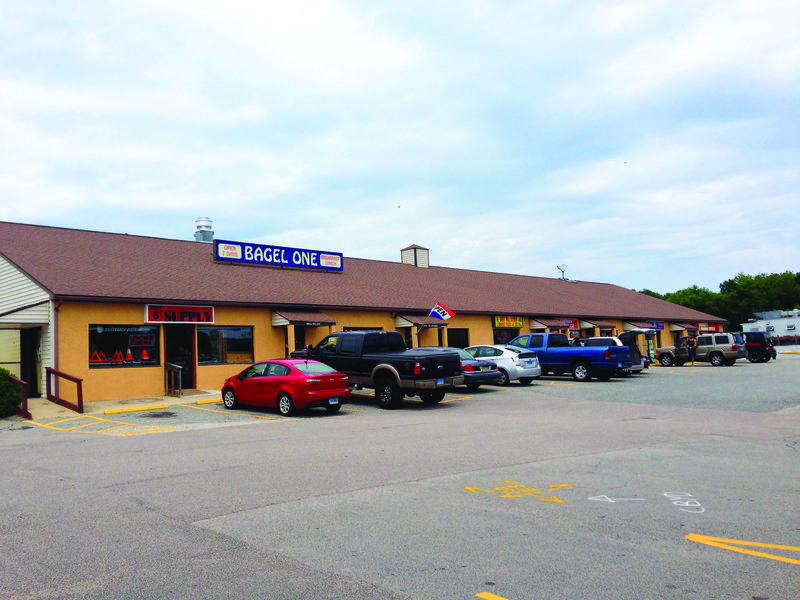 Reno Properties Group, LLC is pleased to announce it has brokered a 2,956 SF lease renewal with Bagel One at 351 Boston Post Road, North Windham, CT. The Landlord is RPG Windham, LLC and Reno Properties Group was the sole broker in the transaction. Bagel One has been making bagels from scratch for over 30 years. In addition, they offer their own whole wheat, rye, sour dough and buttermilk white baked breads as well as english muffins, rolls and wraps. They also offer an array of breakfast and lunch sandwiches, paninis and fresh cut salads with fresh sliced vegetables. North Windham Plaza and adjacent North Windham Commons consist of four retail strip buildings leased to 20 tenants. The property is a total of 42,500 SF with over 1,000 linear feet of frontage on Boston Post Road (RT. 6). With two curb cuts, traffic ight access and egress and a 21,000 +/- average daily traffic count, the property is located in the heart of eastern Connecticut’s major retail corridor. A Walmart Super Center and Home Depot Super Center located across RT. 6 from the site are the area’s anchor retailers.